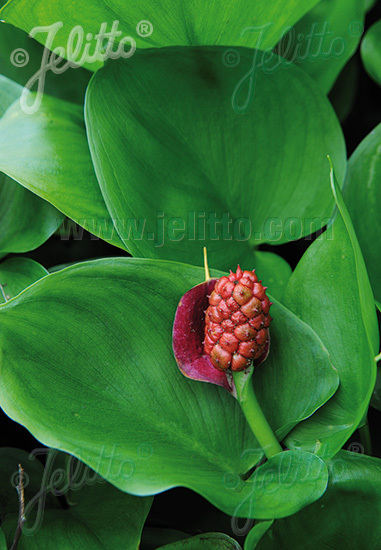 Special Features: White spathe, spadix with red fruits. Plant of the Year 1988 in Germany. (18) See 17. Allow the seed trays to be left for only 2–4 weeks at warm temperatures, then keep at 0°C [32°F] for another 4–6 weeks. It does not matter if the water freezes. After this treatment allow temperature to rise gradually. 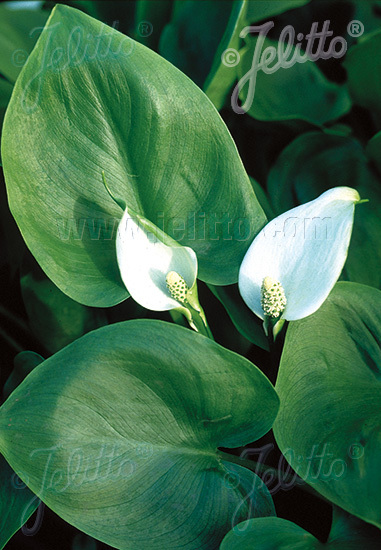 (17) Waterplants must be sown in waterproof plastic trays or similar containers containing a nutritious muddy compost. Fill water up to 1 cm over the top of the compost. Keep the trays at warm temperatures of approximately +22°C [72°F].